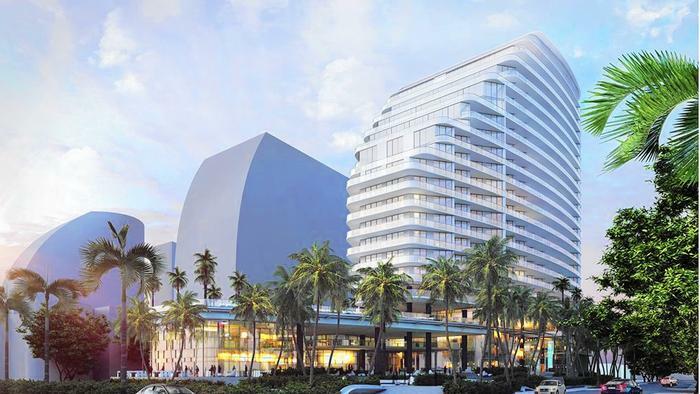 A Four Seasons luxury hotel is coming to Fort Lauderdale, the first high-end hotel built on the beach in eight years. Construction on the 23-story Four Seasons Hotel & Private Residences, Fort Lauderdale is expected to begin in 2016 and be completed in 2018, according to its developer, Fort Partners of Miami. The last hotel of this caliber to hit Fort Lauderdale beach was the $225 million St. Regis Resort & Residences Fort Lauderdale — now known as The Ritz-Carlton, Fort Lauderdale — in 2007. Fort Partners also owns the Four Seasons Resort Palm Beach, which it acquired in early 2014, for an undisclosed amount. The Four Seasons project in Fort Lauderdale will have about 150 hotel rooms and 95 residences, but the final room configuration is subject to change, a spokeswoman for Fort Partners said. Fort Partners is working with Merrimac Ventures on the beachfront project, set for a 1.8-acre site at 521 to 529 N. Fort Lauderdale Beach Blvd.